Marketing lessons can be taken from anywhere, but recently I was inspired by an industry that drives marketing - the movie industry. 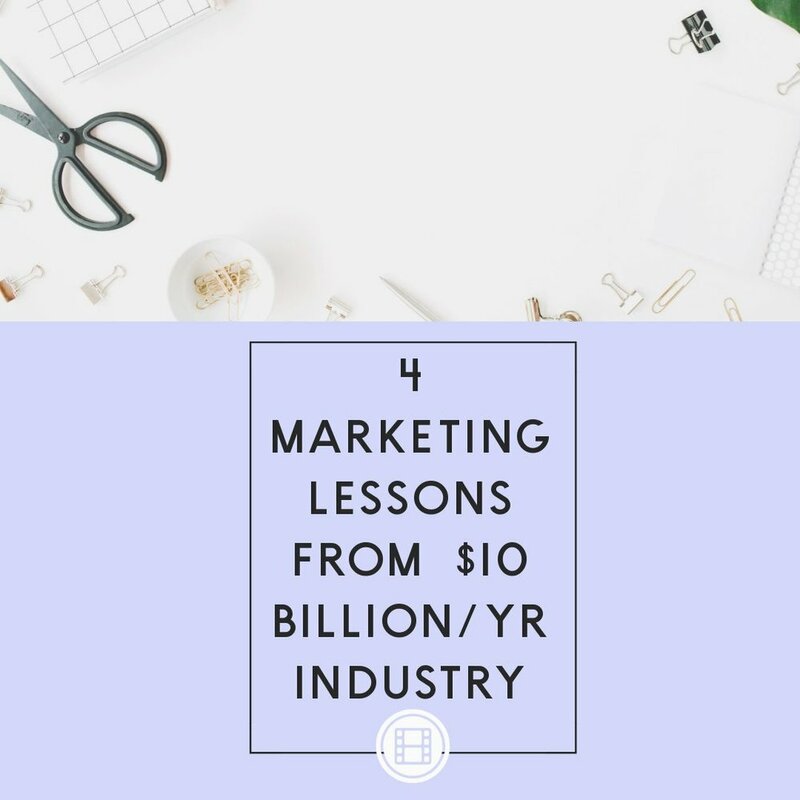 From this $10 billion a year industry, I noticed 4 marketing strategies that could directly relate into my own business, and yours too! When you are self aware, you’re able to add more depth into your content. This could be telling your audience a joke or even telling a story that makes you feel vulnerable. Doing this can help create a genuine connection with your audience and help them to remember you! Talking with your hands or using a distinctive sound can help you stand out and grab the attention of your audience in an online space. I strongly encourage being quirky! This helps to spark the curiosity of a viewer and also gives your audience something to remember you by. Creating anticipation is easy - just lean in! A viewer is going to see this as a more important lesson to take from your video because of your body language. When it comes to tone, it’s very important to have a fluctuation! If you phrase everything like a question, it may not resonate with a reader as much as if you speak something as a fact. Adding fluctuation between the two tones makes it so a viewer will be able to process your words as truth rather than suggestions! This is SO important! Whenever you start a video, remind people why they need to watch until the end. What is someone going to receive if they view your entire video? What value does it add? I highly recommend adding a short sneak piece of this to the beginning of a video and then adding ‘stay tuned’ to the end of the sentence so that the viewer’s mind will be searching for that bit of information!